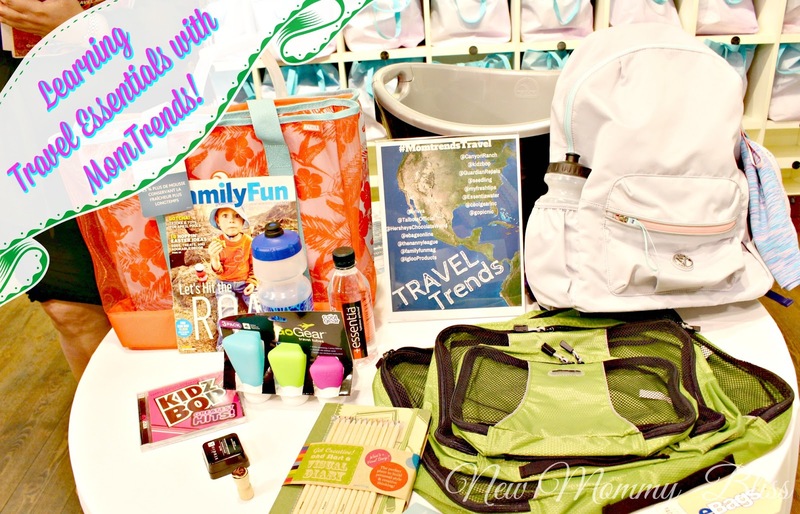 Learning About Travel Essentials with MomTrends! We were invited to this event as media. Attendees received gift bags for attending. It's that Time again! Everyone is starting to prepare their Summer Travel plans, some are even done. One thing is for certain though, and that is that WE have the Know on some great travel Essentials to keep you prepared, stylish, and much more thanks to MomTrends. The Travel Event was held at Ivivva Store in NYC. Beautiful & Brilliant bloggers gathered together to talk about all of the latest and greatest gear, destinations and must haves for the traveling moms and their families. I loved seeing all of my blogger babes and talking about our travel plans and how the showcased products would be perfect for the adventure. It's never a Dull Moment with our MomTrends hosts, Nicole and Sherri. Before I continue, I'd Love to point out that The Nanny League was in full swing taking care of the young ones while moms got to mingle and chat. The kids looked like they were having an amazing time with Cookies, Crafts, music, and fun. While that went on, Moms got to check out the beautiful styles from Talbots for mom! The Bright Bold prints, Whites, colors and patterns will make any head turn, while the light colors of the Active Ivivva brand for girls will keep them comfy. After hearing about the brands from the ladies, we continued to walk the store to continue learning about the products. EBags are amazing. 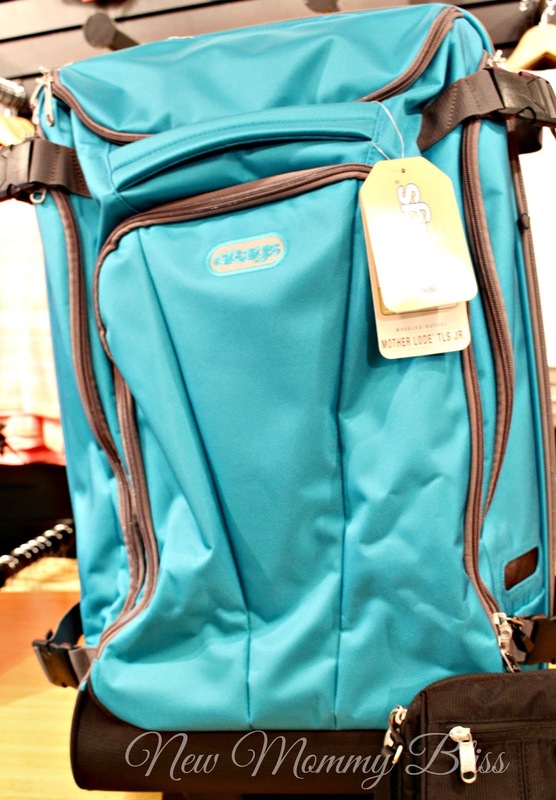 They are awesome, have LOTS of pockets, and are sure to be UH-mazing when you travel. They will withstand your airport adventure while being easily recognizable on the luggage belt. Headed to bug-filled location? 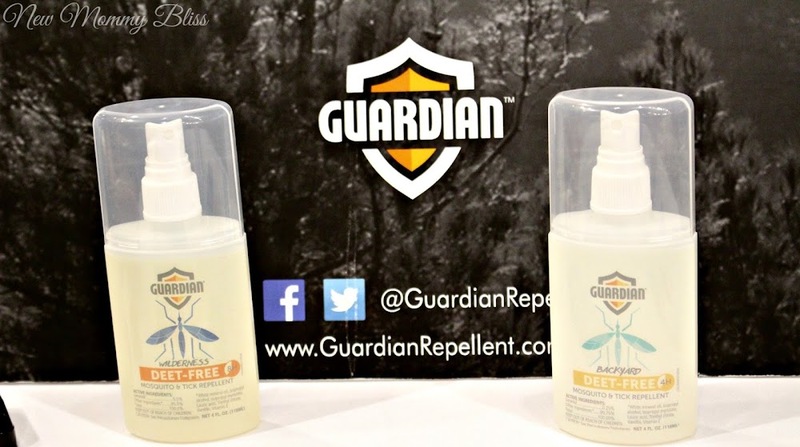 Whether it's the Tropics or right in your own backyard, GUARDIAN Bug repellent will be your savior! It's Deet-Free and Comes in both 4Hr and 8Hr protection against Mosquitos and Ticks. Plant-Based, Non-Toxic, & safe for kids.... Yes! Mid-way through, we were sure to get a little hungry and thirsty. 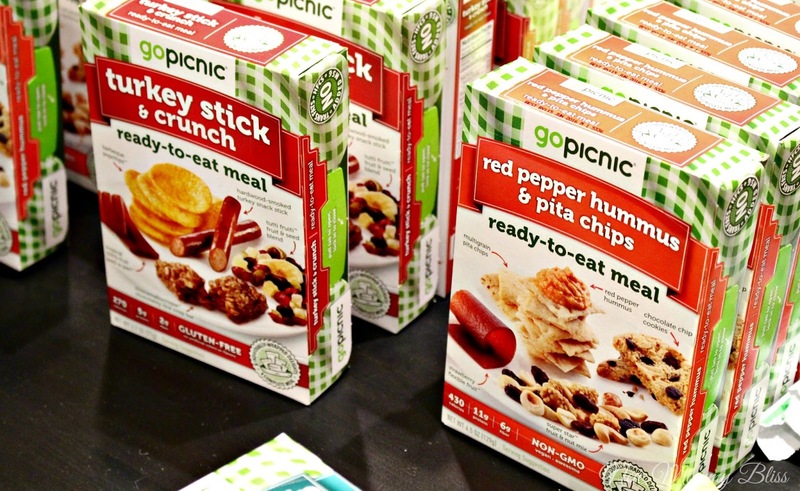 GoPicnic meals were surely delicious and fulfilling. So many varieties, but my favorite was the Turkey Stick & Crunch. Happy Tummy, but boy was I thirsty! Thankfully we had some refreshing Essentia Water on hand. I've never tasted a water so smooth and hydrating before Essentia. It's essential for Long trips, short trips, gym time, walks and more! 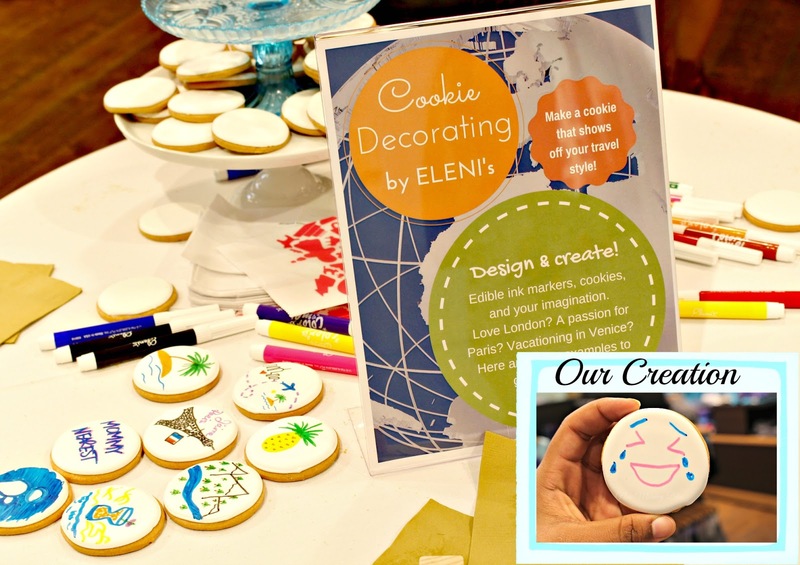 Aside from the sweets inside GoPicnic, the cookie I decorated from Elenis was surely a treat. I'm Missing so many more Essentials Such as : Canyon Ranch, Igloo, Fresh Tips, KidzBop, Cool Gear and More! We definitely had a great time as always and can't wait to see what next time has in store. Which of these Great essentials would you be taking with you? Tune in soon for an amazing Travel Giveaway! These Mom Trends events can be so much fun and I can't wait to attend my very first. All the products sound great and a few I know. I would order from eBags every year when school starts and as for Hershey Park, I'm thinking if I visit NYC this summer that I'm going to go there. Get Ready for Puddle Jumping with Roma Boots! 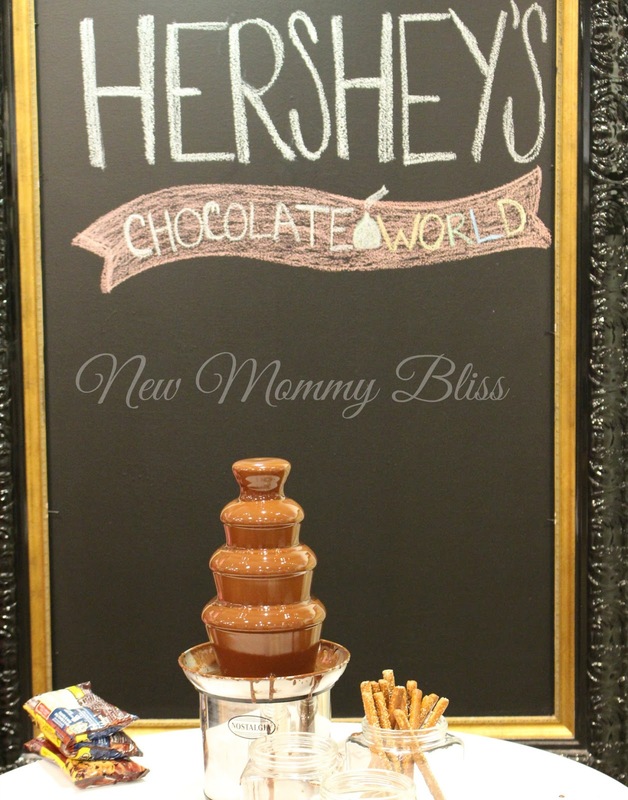 Top 3 Picks from the 2016 New York Baby Show! I Don't Want To Be Fat Anymore!